PONY PAL Classic Tire Swings! Attach to any tree etc... for years of classical fun! 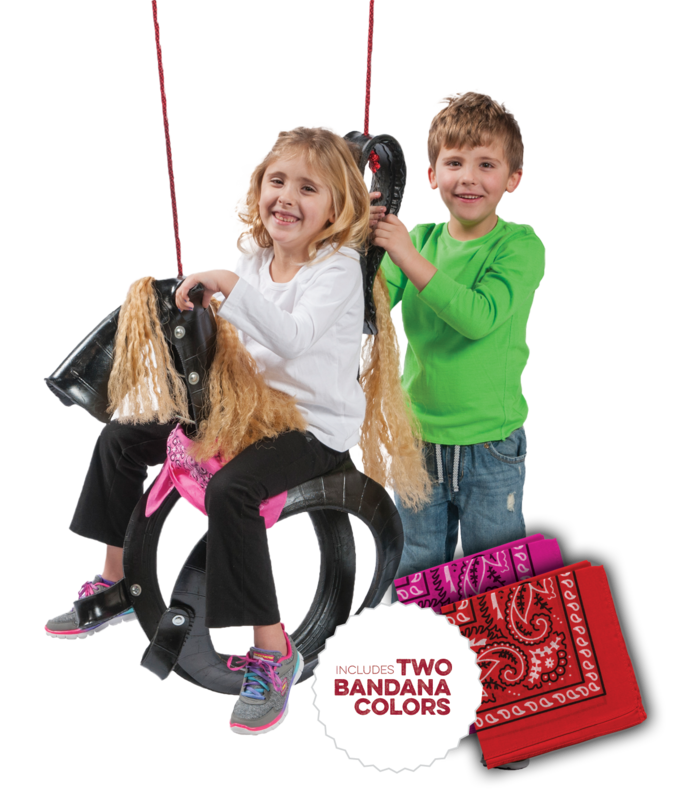 Pony Pal tire swings are made from Bias tires, (no steel belts,) assembled with � in. plated hardware and use 400 lb. working load UV weather treated rope. This swing will be in your yard for years! Pony pal has had customers stop at their factory, just to say, "We bought one 8 to 10 years ago and it is still being rode!" Est. 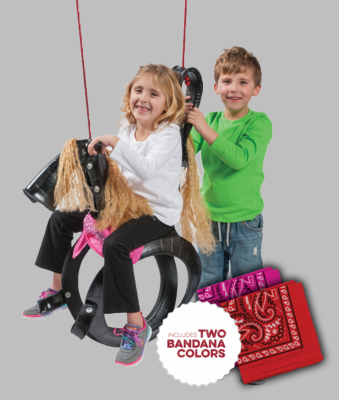 in 1992, Pony Pal, a family owned business, sells over 25,000 Tire Swings a year!